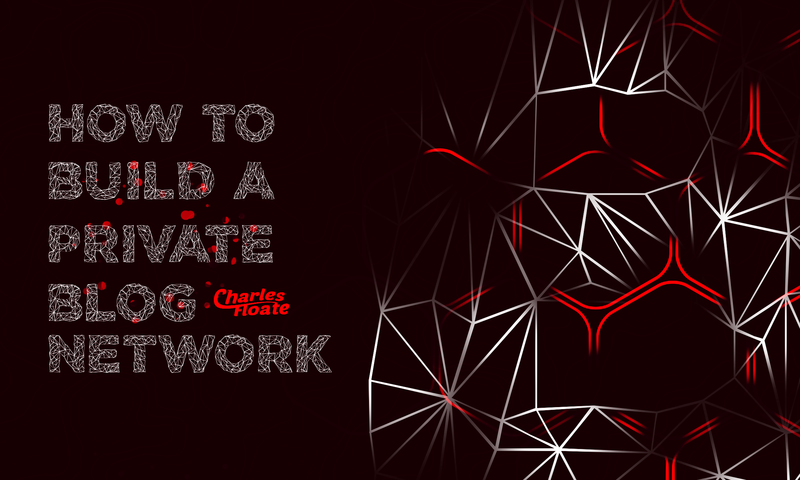 There have been a LOT of posts on blog networks, but there has only really been one guide covering building out an entire network, and none that have been a super definitive guide on how to build one, step by step.. 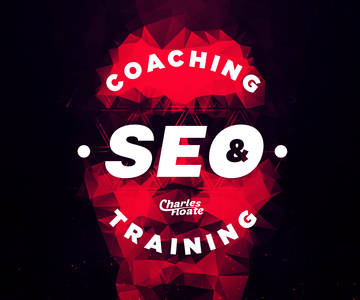 So I thought, as I’m moving from GoS to Charles Floate, then this would be a great place to start, especially as I own the most active SEO Group on Facebook, which started out as a group concentrating on just private blog networks. 1 What Is A Private Blog Network? 8 Chapter 7) “How Many PBN Sites Do I Need” & What Makes a Good PBN Domain? A private blog network, or “PBN” is a network of privately owned websites that is used to create backlinks to a website, or websites. In turn, the links you gain from these websites help your rankings in search engines, and more specifically, Google. The power of a PBN, is that because you own the sites, you have full control over the links pointing to your website. Meaning you can quickly edit the anchor text, remove links, add more links etc.. Which you normally wouldn’t be able to do with a standard backlink profile. Instead of re-writing a previous blog post, I’ll simply link you through to a blog post I did over a year ago now, that is still hugely relevant. Check out How to buy domains the right way, I’ll also cover a few extra bits that I didn’t cover in that article below. A few people have said that I don’t cover spam checking in this post, but I do in the post I linked to before this sentence. The way I go about generating my seed lists is the way I think everyone should. This is only for those looking to build a niche relevant PBN though, if you’re looking to build a general network then you won’t need to generate a niche relevant seed list, just scrape big sites or directories. You’ll need either ScrapeBox or GScraper for this, though I’ll be using SB in this tutorial. If you’re building your PBN for one specific site, then grab all the keywords you’re going to try and rank for. If you just want to cover a specific niche then you’ll need to first format a list of keywords, you can actually use the ScrapeBox keyword harvester to do this first, though it’ll probably throw back a ton of results that aren’t all that relevant. Once you have your harvested URLs, you’re going to need to click “Trim to Root” then “Export URL List”, I export the list into a notepad document. I normally get a VA to do this part, as it can be a long process, but if you don’t want to spend the money on a VA then you can do it yourself. You’re going to want to go through your list and make sure every URL is niche relevant to the network you want to build. As websites like Universities, Social Networks and Wikipedia will routinely get harvested, you’re going to want to remove these. Note: You can use Excel or BHC’s Root URL Trimmer (for Premium Members only) to remove any duplicate websites from the list before manually checking them for relevancy. And voila! You now have a list of niche relevant sites that rank in Google for the keywords you’re going to target, meaning you’ll get links from your own competitors. Make sure to use different registrars when registering domains, as well as different whois info. Personally, I use a private Firefox tab and a pre-paid visa card to buy domains. Then manage every domain within an Excel document. Freebie: You can download the spreadsheet I use to manage my PBN domains here. A lot of people have jumped on the PBN hype and started building scraping software that does pretty much everything for you. I’ve been given a copy of pretty much every one of these softwares out there, and the only one worth mentioning in my opinion is Lazarus Scraper, I personally own over 10 licenses. Finding domains can take a long time and can be expensive to get all the licenses, servers, VAs etc.. So if you can’t be arsed to deal with the above techniques then here’s a list of the best vendors on the marketplace for both expired & registered domains. TB Solutions – Registered domains, though they tend be rather expensive. You can view some samples here. High PA Domains – Registered domains sourced by their Moz metrics. SERP Champion – Registered domains from a pre-formatted inventory. You have to request a niche before being able to buy any domains. The Domain PBN Marketplace – This is a Facebook group, there are around 10 posts a day from people offering PBN domains. A really overlooked metric that I love to use when looking at domains, and something that Majestic like to preach a lot about is “Referring IPs” – The number of IP Addresses that host your sites backlinks. I think this is a very important metric and something quite a few people have been overlooking or slacking with when they build their networks. There’s a few roots you can go down when hosting your PBN sites, the most cost effective is SEO Hosting but the most secure is using premium hosts (like HostGator, DreamHost, JustHost etc..) for each website – The latter I use when building specific client PBNs OR when building a PBN for a project that has a large budget, as you’ll be looking at a spend of around $3/month per site you choose to go down this route with. Depending on the host, SEO Hosting is either a great money saver or a surefire way to get your network deindexed. Personally, the only 2 platforms I use are Easy Blog Networks & IP NetworX. Though the latter has been seeing a lot of issues recently with downtime and support, and EBN recently hired me to consult with them on how they can improve their network and limit footprints. Don’t forget to mix up your IPs with the likes of Incapsula on these hosts. Google recently acquired CloudFlare, so I wouldn’t suggest using these anymore, though I’ve included a guide below by Daryl Rosser on how to use it for your PBNs if you wish so, though it’s now at your own risk. This will always be your best option, using premium hosts like MDDHosting or Dream Host will give you both good load times and a good, “clean” IP address compared to the other solutions I’ve showcased in this guide. If you aren’t a member of my Facebook Mastermind, then join and once accepted, click this link which will take you to a super detailed video by James Gregory about using free hosting providers like Tumblr and Blogger. According to Matt Diggity cheap hosting is the worst kind of hosting for getting sites deindexed. However, I compiled a list of cheap hosting providers here. The most common content management system people use to run their network sites on is WordPress, but I personally like to use a whole heap of CMSs to keep it varied. In chapter 5, you’ll learn how to manage all of the CMSs I’m about to show you within one of the tools I recommend anyway, so don’t get worried that your network is all in WordPress, it can be all in WordPress if you like, and if you’re using Easy Blog Networks (which I recommended in chapter 2) then you can only host websites in WordPress anyway. Personally, I like to refer to the referring reference, you wouldn’t want all your backlinks coming from one IP Address or one website, so why have them all coming from just one CMS? Note: You can also host your PBNs for free by using services like Tumblr & Blogspot. If you’ve decided to go down the WordPress-only route, then I suggest buying a plugin called Hide My WP and using it on several of your PBN sites. It essentially cloaks the site to look like a HTML site rather than a WordPress one. I personally use this plugin on a lot of my affiliate and PBN sites. Good content can be expensive, there’s several places I use to get my content from, though if you just run one website and you’re just starting out in SEO, my advice is to always spend as little money as you possibly can, if you’re building a 15-20 site network for your own site, just buy a new domain each week, under a new hosting account and populate it with your own content. It’ll take you under 5 hours/week to populate that size blog network with content, and save you a few hundred dollars in the process. A platform I still stick by, 2 years after I review’d it. Though make sure you double-check before accepting any piece of content on there, I’ve recently had several writers submit a WordAi spun article back to me. Remember that you can always reject an article on iWriter. A service that has recently come to be a prominent player in the content game on BHC, it’s a bit expensive for PBN content, but is of very good quality. You can also get 1 free article to test out their service via emailing them, which is great if your PBN is focused on one specific niche. I covered this part in my E-Commerce tutorial on Matthew Woodward, again, I don’t like re-hashing things just to bulk out my articles.. So you can follow the tutorial here – I wouldn’t recommend using “UpWork” (previously oDesk) anymore though, OnlineJobs.ph or Freelancer.com are both way better alternatives. I previously recommended Natasha Nixon in a lot of my posts, but as time goes on, a lot of services deteriorate and recently this service has been very hit and miss with the content they provide. I no longer recommend this service, instead, I suggest using Max Writing – Who even have options to directly post to your PBN & money sites if you have the trust to give them access to your sites. There are 2 systems that I use, but the one I’ve been using more and more of recent, is MainWP – Though they’ve previously had footprint issues, there service has gotten tighter and it’s a really easy to use platform, with a lot of great features. You can simply follow the MainWP Documentation on how to set-up and use this, it’s fairly easy but you will need a default WordPress installation as your “parent” to manage all of your PBNs. Note that MainWP also has a ton of extensions which allow you to do things like monitor uptime, check for broken links and submit spun articles to your network. The other tool I recommend is RankWyz PBN Manager, There is a LOT of tutorials on using RankWyz and they also have a ton of documentation on there site, though it does lack in some areas. The best way to learn RW is by using it. Note: RankWyz also has a range of other features including things like rank tracking and uptime monitoring. They also have a sister-tool called SiteWyz which allows you to create web 2.0s and post to them – Great for tier 2’ing your PBNs. I also recommend using RankWyz if you have non-Wordpress blogs, as it allows you to manage other CMSs as well such as Tumblr & Joomla. If you’re using Easy Blog Networks, which I recommended above, their custom dashboard allows you to easily login to each of your blogs and post to them. As well as view the index status, trust flow and domain authority of each of your sites. Something that a lot of people overlook when running their own blog network, is that over time, links naturally get deleted/removed/disappear – This may be to all number of things from the owner of the site not paying their hosting bill, to a page getting deleted or someone clearing up a page that’s been hit with a lot of comment spam. There’s a number of ways you can go about sustaining the power of your domains over the course of months or even years that you own them. What I don’t recommend (as a lot of other bloggers & SEOs seem to love recommending) is buying other blog network links from other people and pointing them at your site, as all these do is add an extra layer of risk to your PBN sites – You don’t control their network, and the entire point of a PBN is so you can control your Tier 1 links. I’m only going to cover a few techniques here, but there is an finite number of link building techniques that are quick and cheap that will offer a lot of growth to your networks power. I suggest doing this once your network is setup and going anyway, as it adds even more power to your network. These are really easy to find, and I suggest hiring a VA (see this tutorial) to build these links for you. There’s tons of updated DoFollow blog lists online, and the plugin “CommentLuv” has a ton of footprints that’ll point you in the direction of WordPress blogs that give out DoFollow links – Just try to use a footprint that hasn’t been severely attacked by spammers. Wikipedia is one of the biggest sites in the world, and getting a link from a relevant page (even if it is nofollow) on their site is a great way to boost the power of your backlink profile. I did an extensive tutorial on this here. Note: I only suggest doing this when you’re doing a large scale campaign. Your time can be spent elsewhere with doing this. Alternatively give the tutorial I linked to above to a VA and have them build links for you. Monthly links are just an added cost to running your PBN operation, so I suggest going with permanent link buys over rentals. I did a vendor list here, I’ll be moving it this blog and updating it soon. I’d also recommend Links Management, they offer both monthly and one time fee links. I’ve bought links for several of my PBNs from them, all one time fee and they’ve had a pretty good impact on my rankings – With all link network services, make sure you do as much filtering as possible or you won’t get the best links for your money. Chapter 7) “How Many PBN Sites Do I Need” & What Makes a Good PBN Domain? So for this chapter, I made a short video, instead of writing a huge piece on it. I also haven’t included any other videos in this guide, so thought it’d be a good time to do so. This section is for all those questions I get asked and didn’t get to cover in this guide, it’s a “bonus” info area. Should I use http:// or http://www. ? I input both versions into Majestic, whichever has the most links I setup. 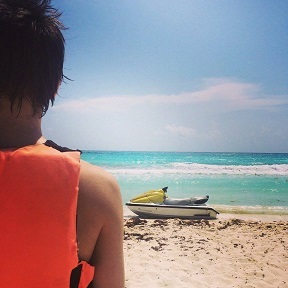 Though don’t worry about it all that much as both will 301 back to the other anyway if you’re using one or the other. Should I block bots from accessing my network? Personally, I don’t think you should. Both myself and Todd (co-founder of BHC) don’t do it, and we’ve had very limited numbers of sites hit compared to most PBN owners. Use both for the best results. Should I show the full post or just an excerpt? I personally show the full post on the homepage as that’s almost always where the juice from the domains backlinks are. Though, a clever trick someone once taught me, was to check the backlink profile of your PBN domains, if an inner page has a load of links pointing at it then upload a HTML document (I just use a free HTML theme or scrape the Web Archive) with the exact URL path and link from that page – This also limits the link juice to just ONE link on the page, as WordPress and other CMSs will include nav bars, and widgets that take up link juice. Can I link to more than one site from my PBN? Yes, you can. Though if it’s a niche relevant network then I suggest to keep the links niche relevant as well. I have seen some people get hit due to penguin updates from non-niche relevant linking, but it’s not a HUGE factor compared to the likes of hosting footprints. How many times should I link to my money site from my PBN? I only link to my main money site a maximum of 3 times, and have a maximum of 5 outbound links to my money sites from each PBN. I see a lot of patterns of link juicer deterioration after the 5 mark. Should I link to authority sites from my PBN? I highly suggest you do this. Again though, keep within the Max. 5 OBL rule I stated above. What anchors should I use when linking from my network? It really depends on the kind of SEO campaign you’re doing. Matt Diggity did a fantastic guide on choosing anchor text, I suggest you check it out. How to Use CloudFlare for your PBN – Daryl (LionZeal) covers how to use CloudFlare for your PBN in a LOT more detail than I did above. Why Google Pushed Me to Build a Bigger Blog Network & Why I’ll Keep Growing My Network After Google’s “Crack down” – These 2 posts are more inspirational than informative, but Glen covers a lot of points that can refute a lot of the white hat claims when it comes to blog networks. Note: In the latter article by Glen, he mentions that you should disable RSS feeders as some SEOs use blog search engines to find competitors backlinks. I’ve never seen this happen, but it’s worth mentioning. You can use this plugin to disable RSS feeds in WordPress. Private Blog Networks. – I made this video in 2014 to showcase how I build networks, and why. As you can see by just the length of this guide, there’s a lot of work (and cost) that goes into setting up a network. The benefits of owning your own far outweigh the time it’ll take you to setup, but if you simply don’t have that time then here’s a list of the best providers on the market for links. If you’re UK based, then I offer HQ monthly PBN rentals with Aron Wright and you can contact us here for more information and pricing. We also offer PBN Builds, just input “PBN Builds” into the niche field on the contact form. I hope you enjoyed my HUGE guide on creating blog networks, and I hope this helps you to go out and create your own network to dominate your keywords with. Don’t forget to signup to my weekly newsletter here, you’ll also get a ton of info as soon as you signup as I send out a free 7 day course to all new newsletter subscribers. This guide is my first big SEO post since I’ve been back, and it took me a LONG time to write, any feedback would really help, so don’t forget to leave a comment in the comments section below – You can also drop a comment with anything you’d like to see from me next. Hi Charles, this is a great guide on PBNs. I just summarized everything and put the list together, so others can use it too. 6. use premium hosts like HostGator, DreamHost, JustHost etc. 19. you need 20-25 PBN links for each keyword you want to rank for. What is “DHG”? ^^ I personally use Lazarus on a daily basis, and it’s fantastic.. Can’t fault it, it has a very minimal design which means it runs really fast on even the slowest of VPSs. He’s talking about domain hunter. Why haven’t you mentioned anything about checking the old site on archive.org or Screenshot.com? Coming from you I assumed you would write about that… not really a step by step without that since it’s quite an important part of the process. If you read the guide I linked in the finding & registering domains part, it does mention spam checking there 🙂 I’ve also never heard of Domain Hunter, but I’ll check it out now. Ok, so I’ve had a look at DHG and it seems really good. The only downside I’d say is that it doesn’t have a lfietime subscription option, which means you HAVE to pay a monthly fee and for people who want multiple instances of a scraper, that bill adds up rather quickly. Also, it’s a rather bulky program compared to Lazarus, which meant when I ran it on my scraping server it was a lot slower than Lazarus. Though if you’re new to scraping, the interface and Pro API means it’s a LOT easier to use. I also like the Auction and Web 2.0 scraper built-in, the latter can be done with a bit of editing but doesn’t come built into Lazarus like it does in DHG. Overall thoughts? If you’re techie and have a big scraper setup use Lazarus, if you’re more basic and have 1 computer or 1 server then go with DHG. I’ll be running DHG for 24 hours and seeing if I like it enough to buy a sub, thanks for the recommendation. Beside Uptime monitoring and Broken links checking, I would like to mention a few more Extensions that would be very useful for everyone that is building a PBN. One of them is the MainWP Clone Extension that allows users to clone WP sites in just a few clicks. Another one is the MainWP Bulk Settings Manager that allows users to duplicate almost any Plugin or a Theme settings from one site to all other sites in the network. These are just a few of our useful tools for building PBNs. Thanks for the comment Sanja, and no problem, thanks for developing such an awesome plugin! Google invested in Cloudflare along with other companies, but no one has bought them. It’s thought that Cloudflare will be going for a public IPO in 2017, but things change. Ah ok, I was under the impression that they had bought them, my bad will update it. Still, be more wary yes. Another one worth mentioning is PBNfinder.net. Its also a monthly subscription but this one has a built in “Anchor text spam checker” that a lot of the others don’t have. Saves a lot of time when you need to check for spam. Thanks for also mentioning The Domain PBN Marketplace (which is my FB group) 🙂 Thx Charles! No problem, it’s a good group 🙂 I’ll have to check it out, any bulk spam checking is great for finding domains. What kind of foorprint you use when you scrape domains from any domain scrapper? Thank you for your reply Charles. Please can you tell me what we want to put in footprints when we scrap health & fashion related domains ? Coz i cant find any thing on health related or fashion related blogs as blogroll for digital domains. Thank you once again. Hey David, there’s quite a few variables you’ve missed out here. A) If you put a link live, impact doesn’t necessarily happen straight away at all. It may take a few weeks to see any movement. B) How big is the keyword you’re targeting? If you’re going after a keyword like “car insurance” you won’t see much, if any difference from 1 link. C) The premise is a NETWORK, so you have more than just one site linking to your money site/s. Question about the very first step ‘Harvesting URLs’. So i have a list of key words and i enter these into SB and start ‘Harvesting URLs’? Being new to SB can you explain what this does? i mean does it just scrape google for all urls for my keywords? How do i find broken links to expired domains this way? And once i have found say 100 broken links is there a automated way to check the domains to see if they are expired? It scrapes the results pages of Google, so, say you search for “fashion blog” then it’ll take the top 100 sites (Page 1 – 10). great content as always, very detailed and easy to follow. please can you replace this broken link :http://godofseo.ca/tutorial/how-to-buy-domains/ because i really want to read this article. also i need your advice about doggity links, are they worth buying? i need this links for my money site to outrank competitors in my niche..
Hey Martin, yes, the GoS Site is currently down but will be back up asap! And what about diggity links are they worth buying? please can you show me an example of PBN, to have a better understanding where exactly to insert links and what WP theme to use, so they look legit and not spammy. 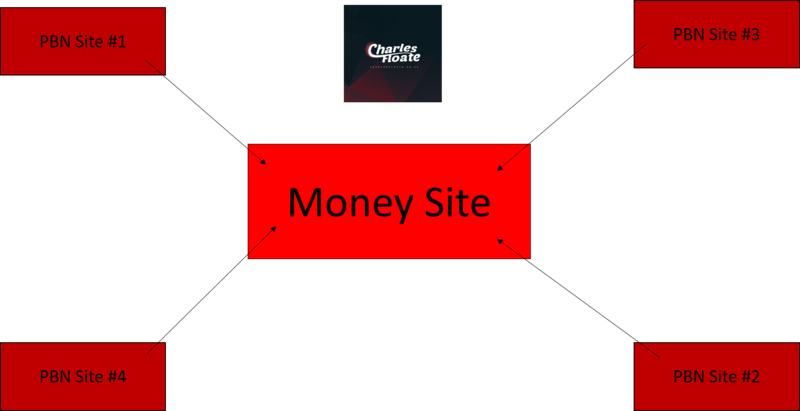 One last question: have you used this technique on charlesfloate, or on any other money site which you own? I have used this technique on pretty much every money site I own. I haven’t done it on this one, no, this is a white hat blog ^^ If you follow this guide, you won’t get it penalized. I’ll try and put together an example. Charles ‘how to buy domains’ link is broken. Thanking you for publishing an excellent article. Backlink strategy is so much important for a site to ranking first. I have a website, but I cannot maintain PBN cost because PBN cost is so high for me. Then I find out a person who gives me expired web 2.0 sites with High PA. These Includes Tumblr, Jimdo, Weebly, Webs, and Over-blog etc. Then have been created a small Web 2.0 PBN for my site by using these expired web 2.0 sites. It is an easy process to create PBN. Finally, I got good SEO result. Tell me please!!! It is safe for my site? Powerful piece of SEO tactics! Charles floate is the best! Hi Charles, how long does it normally take you to see the effect of a PBN link that you have built on the rankings for a keyword? Nice post and it’s very useful for SEO, from now i will follow your all post. Thanks for posting useful information. Yo Charles! It’s your boy from BBHF lol. You know I already bought the guide at the top of this page and I’m always enjoying your content. We should collab my friend because you are the new SEO authority not NP. The Krill Oil reference was a game changer! When do you abandon your domains? I have some old pbns that lost most of their links (so they have less than 10 okay links but the site is still indexed). Is it worth building new links to these pbn sites, or just abandon and move on to better domains? Definitely worth building more links, especially if they’re aged. It’s very informative and you are obviously very knowledgeable in this area. You have opened on this topic with interesting and solid content. Actually I read it yesterday but I had some thoughts about it and today I wanted to read it again because it is very well written. Will you insert links pointed to MS as soon as the PBN site is built? Or wait for a particular days? What I worry about is, will it is a footprint that all my site’s prowerful backlinks come from new registered domains? No, I normally wait 4 – 6 weeks. Matt Diggity did a great case study on waiting times, he recommends 31 days or so. Yes it will, so try to diversify your registration dates and wait different times for each PBN – Always test your PBNs before linking out anyway!